The Oratorio Sacred Service (Avodat Hakodesh) by Marc Lavry will be performed in February 2015 at the Jewish Music Days Festival at the University of Haifa. 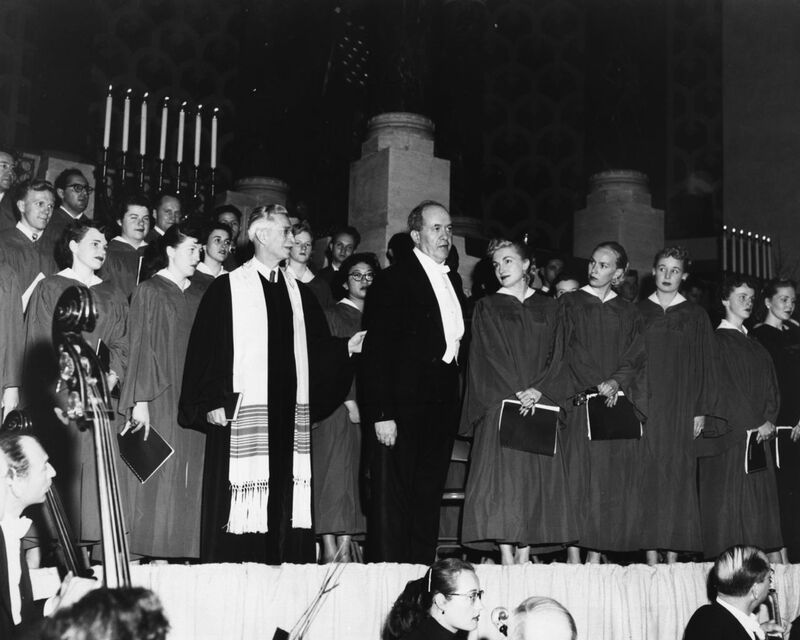 60 years ago Marc Lavry was invited to write the Oratorio Sacred Service for Temple Emanu-El in San Francisco. 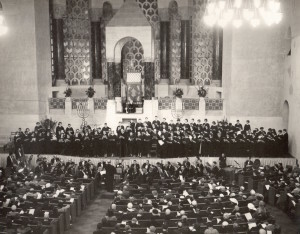 This was the third time that Cantor Reuben Rinder of Temple Emanu-El of San Francisco commissioned a work titled “Sacred Service”, or Avodath Hakodesh, based on texts from the Siddur, a Jewish prayer book. The first composer to compose it in 1933 was Ernest Bloch, the second, in 1947, was Darius Milhaud. Lavry was commissioned in 1955. More information about the composition: Sacred Service, Oratorio, Op. 254. The Oratorio will be performed on Wednesday, February 18, 2015, at 8:00PM at the Hecht Museum of Art, University of Haifa, Israel. To purchase tickets, please contact Mr. Yaakov Fisher at the Department of Music, University of Haifa. Email: ymfisher@netvision.net.il.